What a refreshing book to find now (it was written in 1987) in the midst of a flood of materials pushing us into the success syndrome! This is one of those books from which you will say, ‘‘I wish I had said that.’’ Even if you just read part one which describes the authors’ rise to prominence in their own group and the discouragement which followed because they did not have the success they were supposed to have, you will profit greatly. This is anything but a defeatist book. 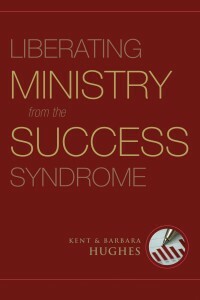 This will build you up regardless of the ministry you are in. And it will help keep you on an even keel as you navigate the success syndrome.